CASHMERE — The trails for this Sunday’s Red Devil Challenge 25-kilometer run are in great shape and the weather is looking perfect, with highs in the low 70s and a few clouds predicted. It may be cool in the morning, however, so bring a warm layer just in case. Packet pickup, Saturday, June 2: From 4-6pm at Arlberg Sports, 25 N. Wenatchee Ave. (downtown Wenatchee). There will be registration available and feel free to shop for any last-minute trail running gear. For those of you not able to make it in on Saturday evening, we will have the rest of packet pickup at the Sandcreek Trailhead on Sunday morning. 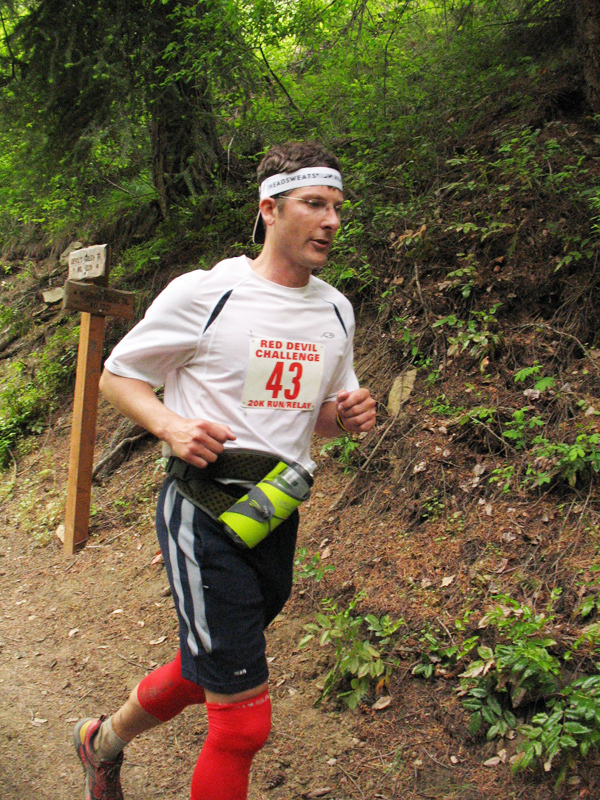 A runner in last year's inaugural Red Devil Challenge. Race Day, Sunday, June 3: At 8 a.m., the shuttle will leave for the trailhead from the Mission District, located on Mission Avenue in downtown Cashmere. 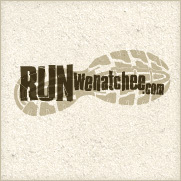 (If you haven’t yet, please e-mail us at runwenatchee@gmail.com and let us know if you plan on using the shuttle). The race starts at 9 a.m. Most participants will finish between 11 a.m. and 1 p.m. and the shuttle service will commence ferrying runners back to the Mission District. Several trips will be made to ensure everyone gets back to their car. Devils Gulch Drinkery, Snapdragon Coffee and a wine tasting room or two will be open for racers to enjoy beverages and food. We will be having a post-race party of sorts at the Devil Gulch Drinkery starting around 1 p.m. and going to about 3 p.m., so please stay and join us! 1) Limited parking at the trailhead. The event starts at Sandcreek Trailhead located in the Wenatchee National Forest south of Cashmere. There is limited parking there, but the U.S. Forest Service has allowed us some extra parking as long as those cars have a Northwest Forest Pass. So there is room for about 15 or so cars who have a Northwest Forest Pass. The road leading into the trailhead is outside the Forest Pass required zone and cars can park along there as well. It is a short walk to the trailhead from there. 2) Mission District parking. If you decide to use the shuttle service and park in the Mission District, please do so in the nearby City of Cashmere dirt parking lot. Parking is free in the spot. Please do not park on Mission Avenue directly in front of the Mission District building. 3) Shuttle Service. Again, please e-mail us here at runwenatchee@gmail.com if you are planning on taking the shuttle. That way we have an approximate number for the shuttle driver(s). The shuttle will leave shortly after 8 a.m. Sunday to the trailhead. It will make several return trips to the Mission District after the run is over. 4) Keep an eye out for the unexpected. The trail is open to other users, which may include mountain bikers, motocross riders, snakes, deer, mosquitoes, bear and possibly cougar. … Not to freak you out but you may run into one of these creatures. 5) Watch for markers. The trail will be very well marked, so you won’t get lost. 6) The distance. The Red Devil Challenge will be a little over 15 miles. I guarantee it. 7) Replenish yourself. 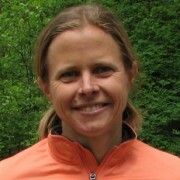 There will be a water-only aid station at 5 miles and at 9 miles, and an aid station at the Devils Gulch Trailhead with gel, electrolyte drink, bug spray and a bathroom. 8) Feast at the end. The finish area at the Sand Creek Trailhead will have food, water, local beer, etc. 9) Big shout out! Thank you to all of our volunteers for being out on the course this year! We will have a few motocross riders up on top of the trail for an aid station and if you need a ride down … just kidding. 10) Thank you to our sponsors. We couldn’t do this event without the gracious support of Volyn Law, Project Groundwork, Momentum Brewing, Arlberg Sports, Inner Circle Gym, Advocare Sports Nutrition, Devils Gulch Drinkery! Any other questions, please feel free to e-mail us a runwenatchee@gmail.com. See you this weekend!